So I managed to go the whole winter without getting sick and now I’ve spent the last two days in bed. I’m better today than yesterday or Monday but still coughing like it’s my job so I’m mostly all about tea and reading and watching comfort movies like Wreck-It Ralph. And today was a good book mail day. 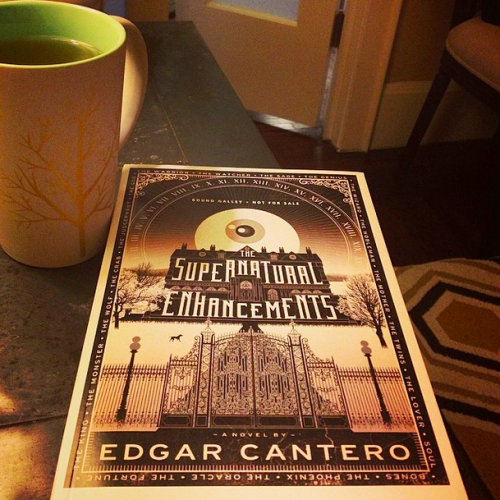 The Supernatural Enhancements by Edgar Cantero. I’ve heard a bit about it and it sounds super intriguing and I am in love with this cover. Also it goes well with my mug and my floor. Advance copy, comes out properly in August according to the informative spine. Now I am going to read. Or nap. Or drink more tea. Or some combination thereof. If you have lost something precious we will find it! If you miss it and you need to have it returned to you. Or if you never had it but have always always wanted it. Even if you aren’t sure what it is, exactly. 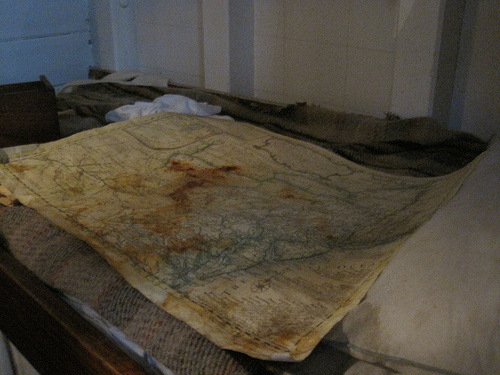 We will investigate and discover and uncover until we locate the lost things and the hidden things. We will search high and low but mostly low. Under rocks and between blades of grass and at the bottom of your heart. We will find it! We will find it! 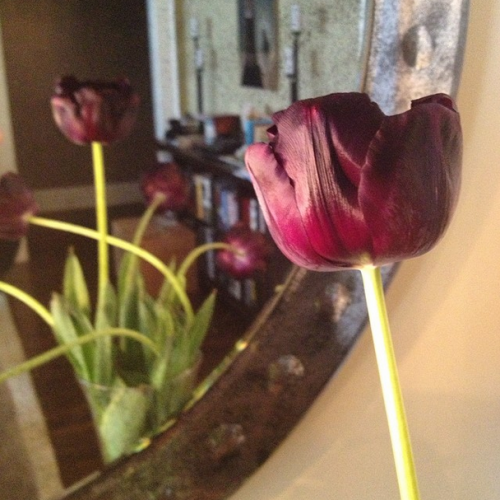 We bought tulips at the farmer’s market a few days ago and for awhile they stood up straight and now they are all woozy with springtime except for the one that’s still upright, staring at itself in the mirror. Happy Spring Equinox, Happy Please Go Away Never-Ending Winter, Happy New Beginnings. 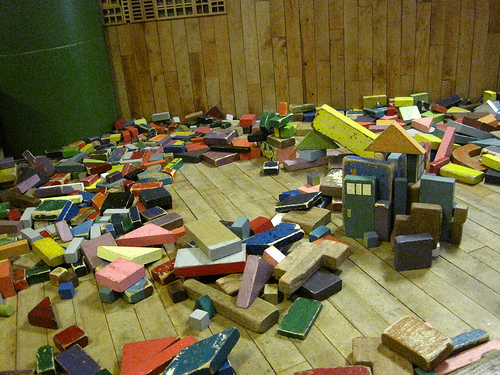 Our blocks are every shape and every color: pink and green and yellow, sky blue and ocean blue and melancholy blue. We build them up in colorful stacks. Turning them from blocks to homes and businesses and temples and museums. Towns and cities and countries. 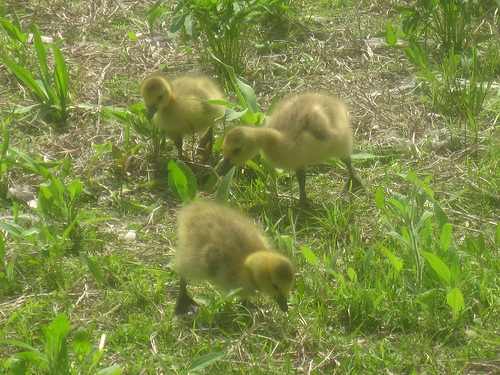 We let them live and breathe and grow taller and bigger and more complicated. Then we knock them down, again. We shriek and laugh at the noise and the chaos and sometimes we’re just a little bit sad to see them go, favorite towers toppled and hidden corners exposed. And then we build them up, again. Higher and better than we built before. For as long as I can remember, blank books have made me anxious. 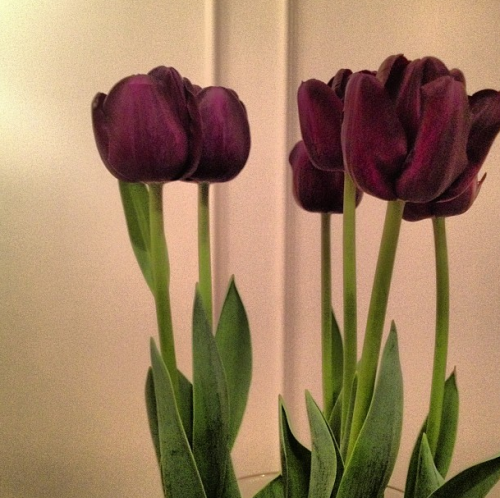 I love them, though it’s maybe a bit strange to love something that makes you anxious, but I do. I love crisp paper and fancy bindings and the clever little elastics to keep them closed. I particularly love the ones that have pockets in the back though I rarely put anything in the pockets. I used to get blank books and journals and fill a few pages and stop, having ruined them with lousy handwriting and messy thoughts. And then I’d feel bad about letting them languish and didn’t like having long gaps of time between pages so the rest of the pages would stay blank. I can’t even count how many once-blank books I’ve owned. I can count the ones I’ve filled cover-to-cover on one hand. You would think, after all the time and all the words and all the writing, they wouldn’t make me nervous anymore. But they do. I don’t have the same anxiety about blank pages when I type. Maybe it’s the mutability of a file, the possibilities of a blinking cursor are a more flexible sort, easily taken away again with a few additional keystrokes. I spelt additional wrong on the first try, easily fixed here. And I type faster than I write longhand. But I like writing longhand, even though it makes me feel slow and awkward and uncertain. 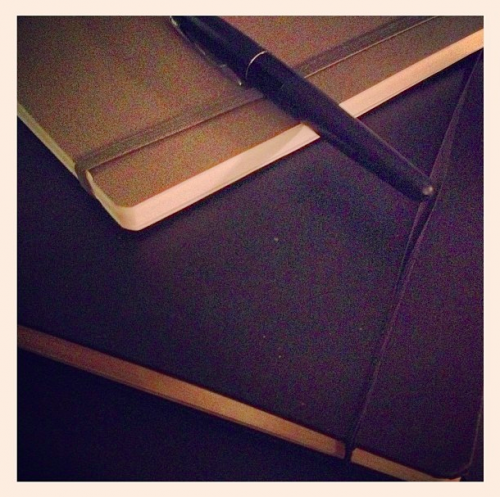 I loved this piece that the lovely Daniel Kraus did on Booklist about writing longhand. I suspect I just need to do it more, but there’s that horrid feeling of ruining something pristine mixed with too much possibility. I have a couple of notebooks going for the novel-in-progress and pages upon pages on my computer, but I just pulled out a new blank book to work in and it’s making me nervous. Compounding the nerves that are already there from being back to the writing phase that’s just me and the world in my head and the pages to fill. I’ll figure it out. I’ll spell things wrong and spill ink and hopefully this will be one of those books that gets filled cover-to-cover, and I’ll be able to make something of what’s inside. Well, the box and the four horses. But the box holds everything you need and plenty of things you don’t. To insure that it is indeed a challenge. All you truly need to concern yourself with is finding the proper combinations. The horses already know the answers to all the unformed questions. 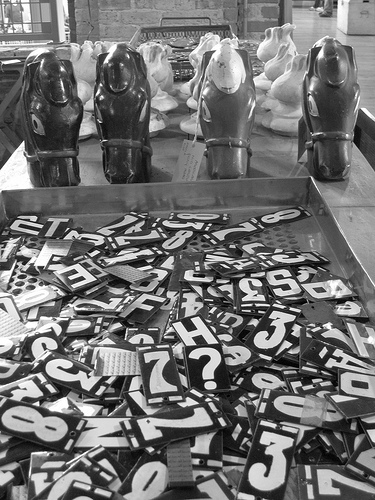 They’re waiting to see if you know the right ones to ask. I have been waiting & waiting for this day. 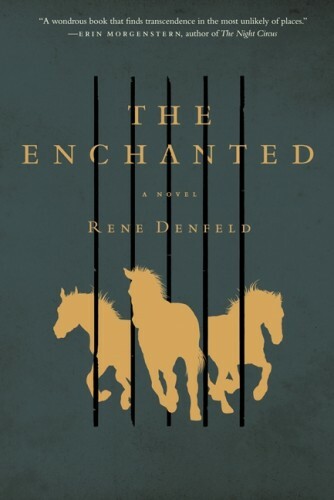 I read a manuscript of The Enchanted by Rene Denfeld last year and loved it so much I wanted to push it on people immediately but I had to be patient because it wasn’t coming out until March 4th, 2014 and hurrah! That day is finally here. This is an exquisitely written, deep, dark book with a marvelous buoyancy that somehow keeps it from being too heavy which is particularly impressive considering it’s set on death row. The closest thing I can think to compare it to is The Shawshank Redemption, but truly I’ve never read anything like it. 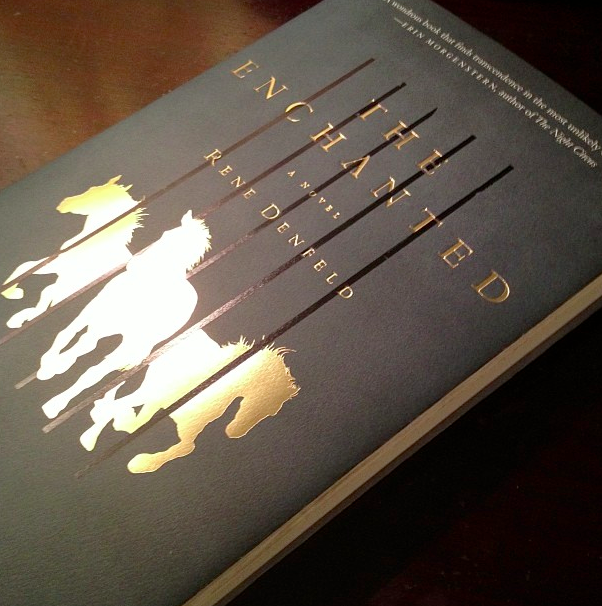 And the finished book is just beautiful, with golden horses.